Day 16. After my bad day yesterday, today's work is back to optimistic again. My studio overlooks the garden planters and into the woods. For a brief moment early today, the sun broke through the clouds and an area of dried weeds was suddenly in the spotlight. It faded before I could grab my camera, so I tried to paint it instead. My colors don't really capture the gold of that little bit of sun and how lovely it was on an otherwise dreary winter day. But I dream of days when it will return, and when those dry weeds will be replaced by new green growth, and think of spring. Day 15. 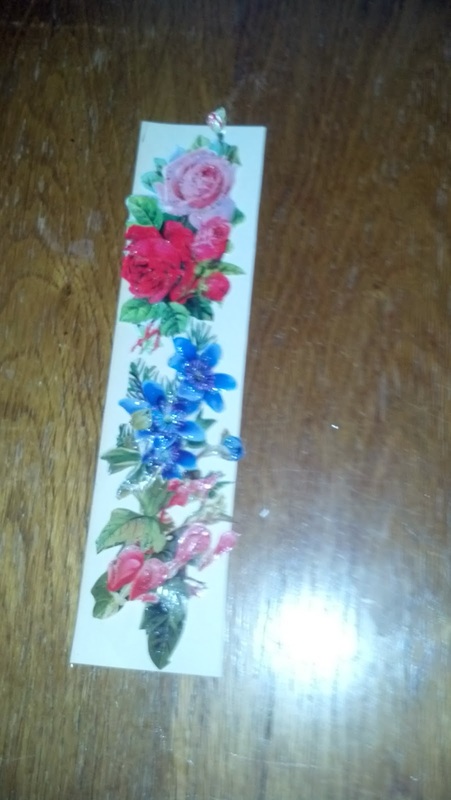 After a day drowning in Medicaid paperwork, searching through boxes of Mom's "stuff," I felt I was surrounded by a tangle of ink and scraps of paper. Everything was the wrong piece of paper, the boxes were full of useless junk, and I needed to stop and take a few -- quite a few -- deep breaths. This piece is what I created to "commemorate" the day. 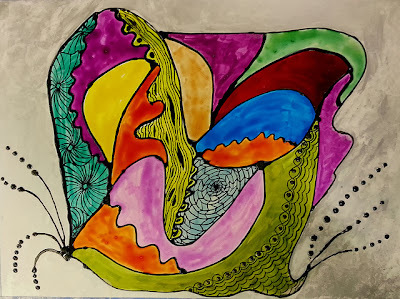 It is hard to believe that the January Art Every Day challenge is almost half completed! 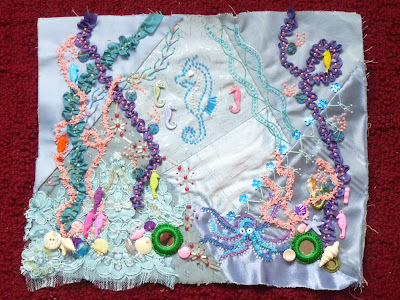 Genevieve T. make a lot of progress on her CQ block. It is looking wonderful! Susan (http://susanstudioarts.blogspot.com/2014/01/woven-message.html) played with Lutradur to make today's ATC. What a fun experiment! 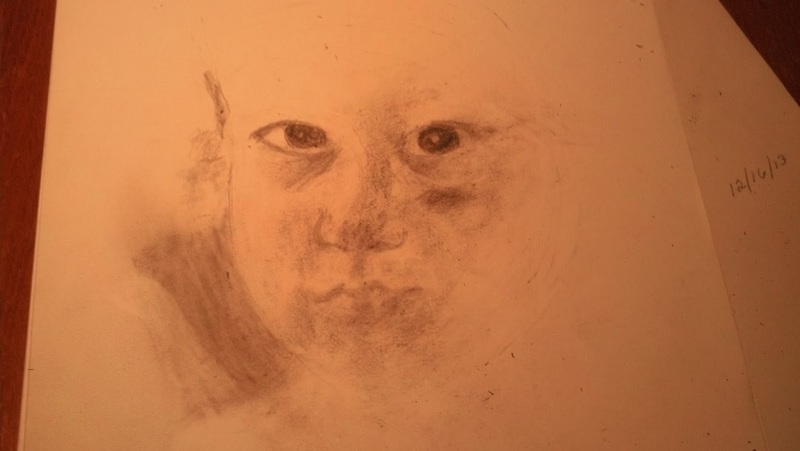 Barbara K. started working on a portrait of her daughter, working from the inspiration of an old photograph. And me? Well, I spent most of my day doing Medicaid paperwork on behalf of my mother, who is in a nursing home suffering from Alzheimer's Disease. So other than some studio cleaning, I only had time to finish my Journal52 page. 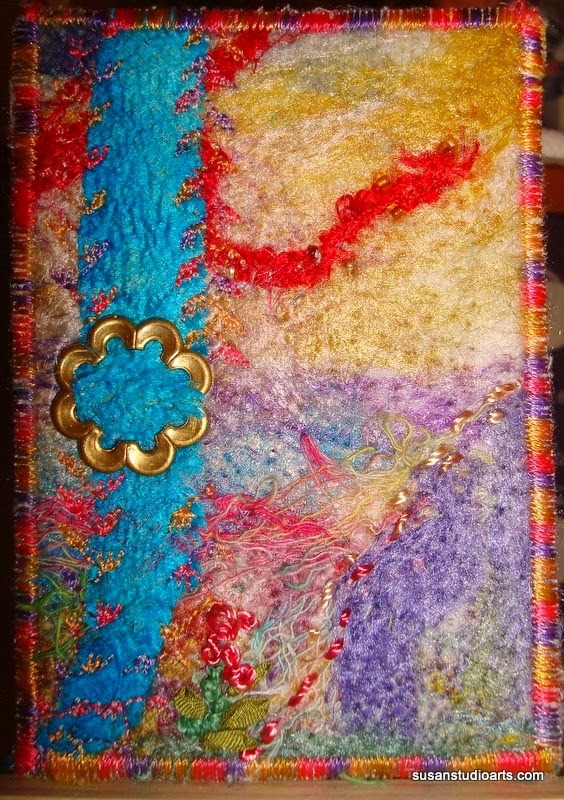 My Journal52 page for January 14th addresses the Week 2 prompt for the workshop. Techniques: watercolor on 90# paper, lettering and words from Wid & Free's alphabets and words stickers. I love scenic vistas and find peace and tranquility of spirit in such places. Day 13 of the challenge. Somehow, I omitted Connie K. in the last post. So here are two days of her work. You can see all of her posts -- in the right order -- on her blog: http://cwkalina.blogspot.com/ In this first photo, she is learning to do the Austrian Block Stitch. 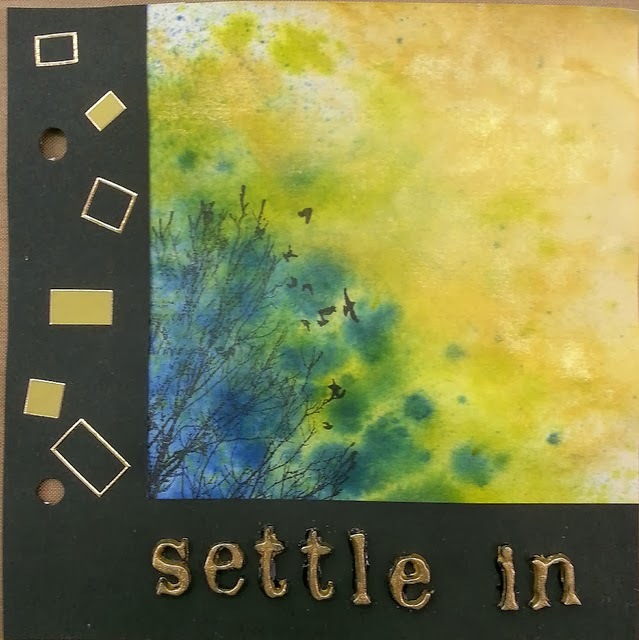 Susan (http://susanstudioarts.blogspot.com/2014/01/make-art-every-day-another-atc.html) has created another of her wonderful ATCs. She says "ATCs are just perfect for trying out ideas. 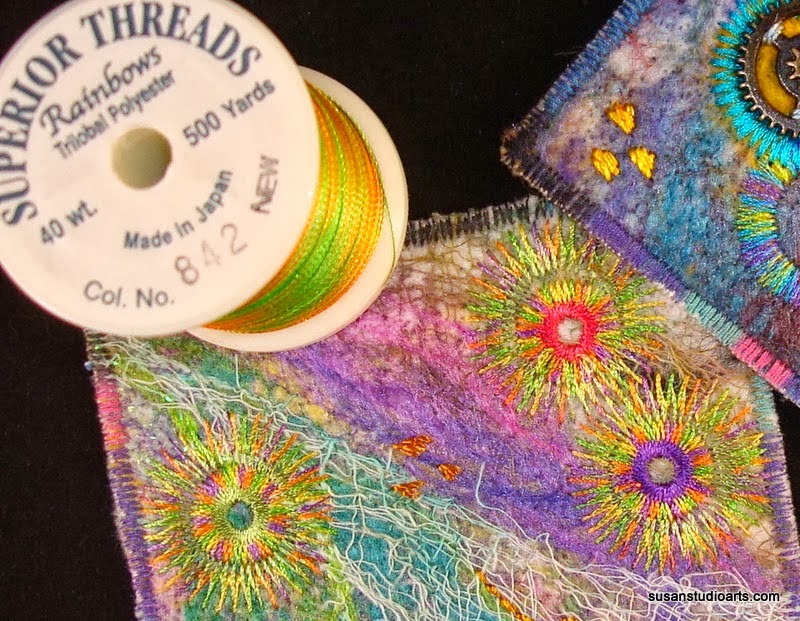 On this needle felted ATC, I machine embroidered a silk carrier rod, attached a vintage brass buckle, some seed beads and a few very out of control french knots." I worked on an experiment in which I colored Golden Pouring Medium with India Ink and used it as a resist, creating a very abstract blob of lines. I painted the many sections with Twinks and then began to doodle atop the painted areas. 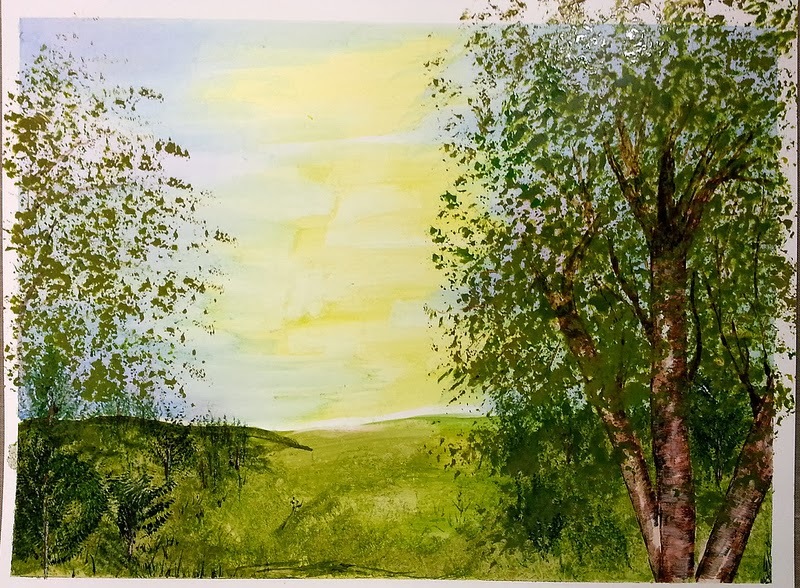 I was delighted that the colored pouring medium worked...so much an improvement over using plain pouring medium and then attempting to color the lines. I admit, it is a bit funky looking, but for an experiment, it was fun. 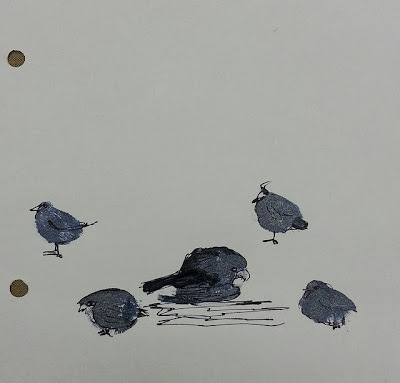 My Journal52 page for January 13th is called "For the Birds." It is a very minimalist piece that uses only one color of paint (Maya Gold's Night Blue) and only a few lines of ink. I hope you like it. I mentally caption the birds as 1. Let's Go! 2. Bad Hair Day 3. I'm cold 4. Bathtime! 5. You are all crazy. Can you put the captions to the birds? This was inspired by a piece I saw on Contadina K's blog a while ago. I am working from memory, but I like the result. This uses Lindy's sprays, a Deep Red rubber stamp, plain black cardstock, and some gold-painted letters and shapes. We are starting the second part of January, and there has been a lot of great work posted. 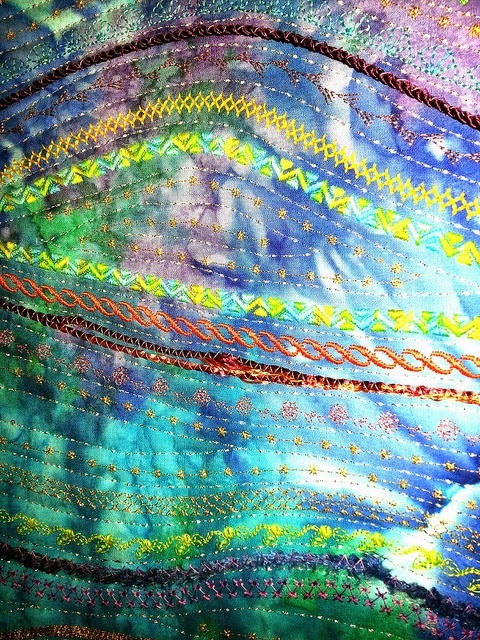 Congratulations to those who have persisted, day-by-day in creating beautiful things! 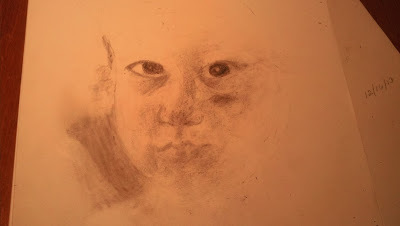 Nina (http://mytimedisappears.blogspot.com/2014/01/art-every-day-ha.html) submitted these two images. And I've been a little busy, too. 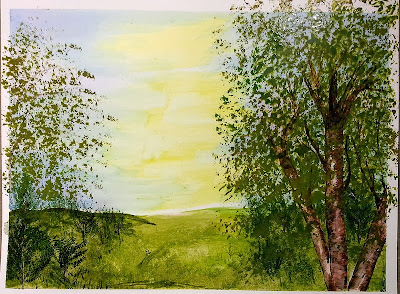 I completed the watercolor of the birch tree that I showed you the draft version of a couple of days ago. 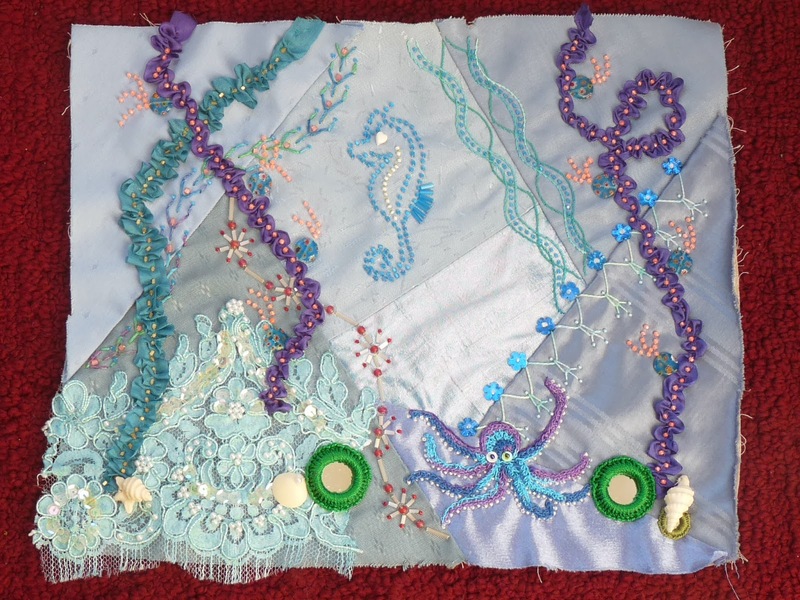 And, of course, completed my submission for Journal52. Today, it is very dreary out, freezing rain and dense fog, which should change over to rain. Hopefully, it will melt some of the snow. If it goes above freezing, it will be for the first time in quite a while. I'm hoping the "artic vortez" is gone for good. I was in need of green, growing things and colorful blossoms -- or at least some impression of them. Here is my submission for January 11. Can you tell that I am really ready for spring? 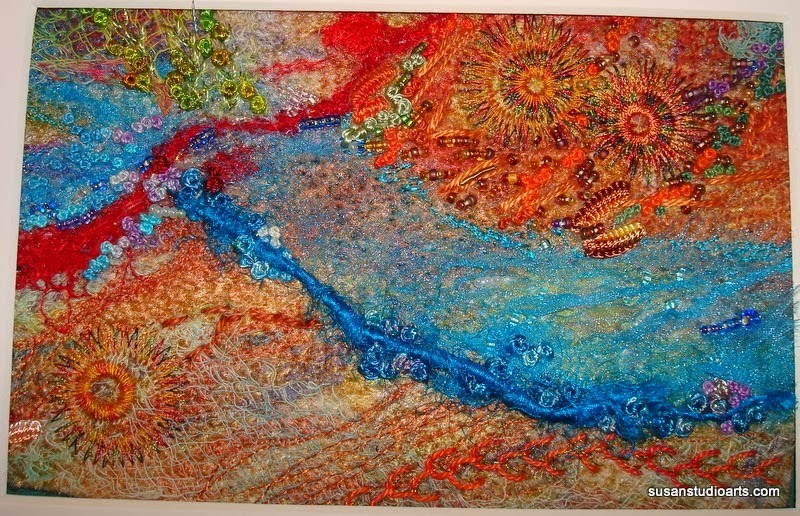 Susan (http://susanstudioarts.blogspot.com/2014/01/day-6-make-art-every-day.html) is staying busy! I have been busy today, first up is the background and rough draft watercolor on yupo. 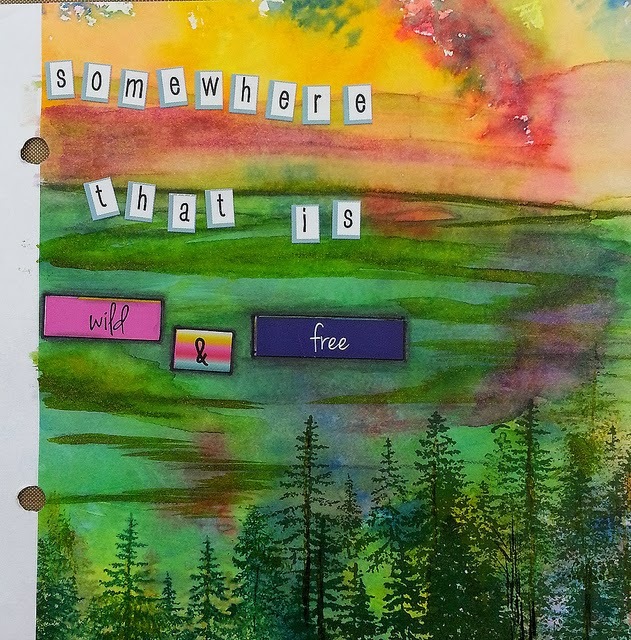 I also finished my Journal52 page for today. This one starts with a bit of Suminagashi that I did using rice paper and Sumi ink. 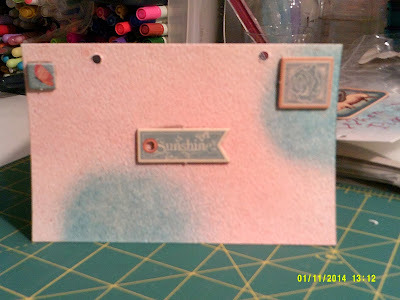 I cropped it and backed it with plain black cardstock, then put that on a piece of printed cardstock (Madeline collection from Prima) that I had in my stash. 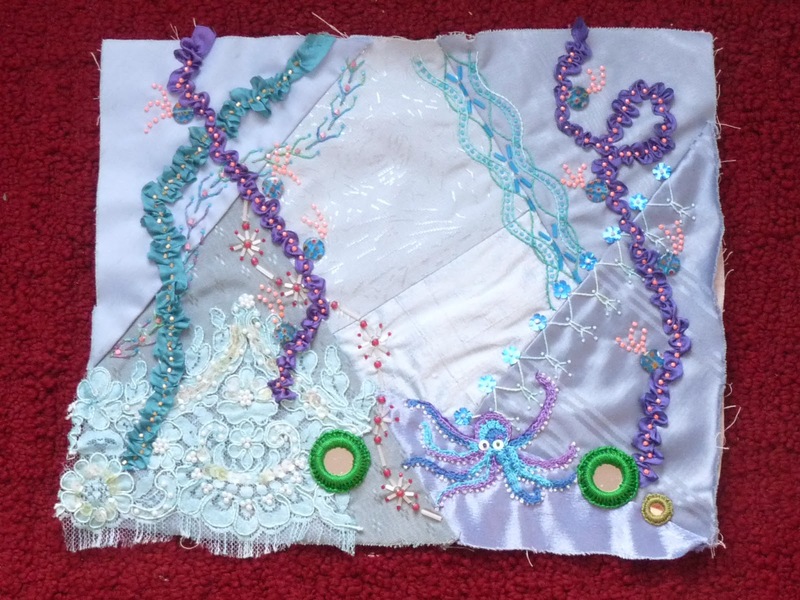 I then glued down some fabric leaves which I had on hand, and added a pure white flower from Prima. The flower was too stark in pure white, so I used some watercolor paint in a pale pink to add definition. 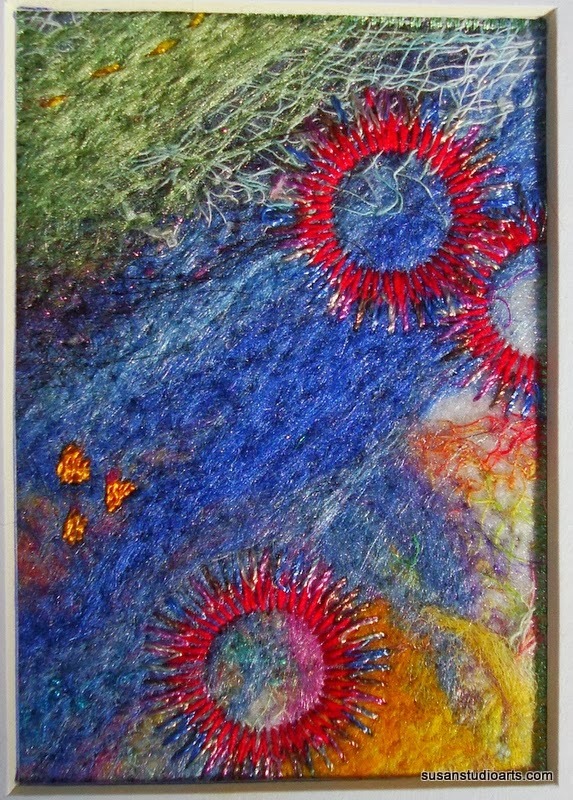 I was trying to make the Suminagashi piece look like a window with snowy, swirling winds blowing all around it. Jan 10 Journal52 page is completed. This one starts with a bit of Suminagashi that I did using rice paper and Sumi ink. 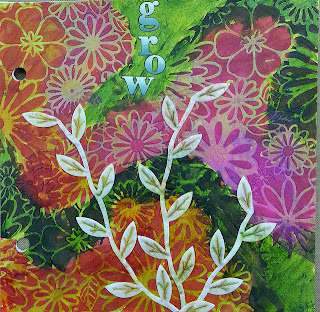 I cropped it and backed it with plain black cardstock, then put that on a piece of printed cardstock (from the Madeline collection, Prima) that I had in my stash. 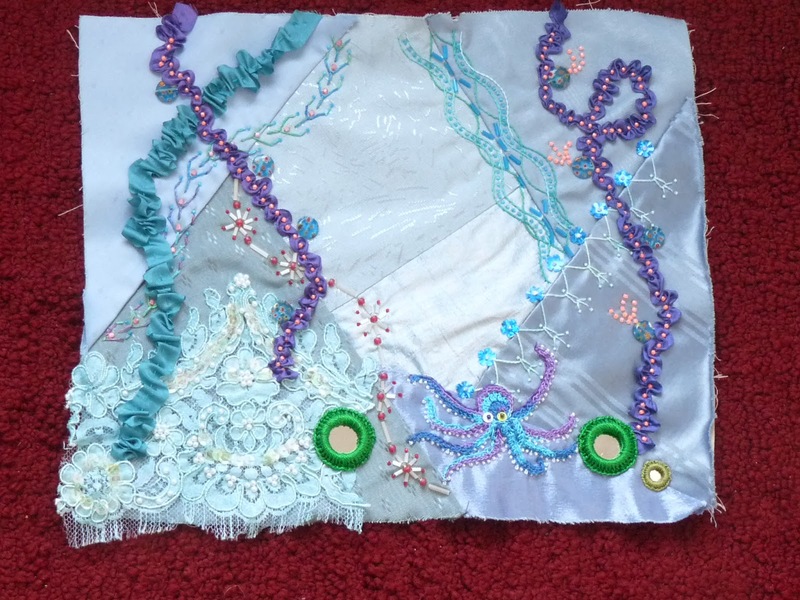 I then glued down some fabric leaves which I had on hand, and added a pure white flower from Prima. 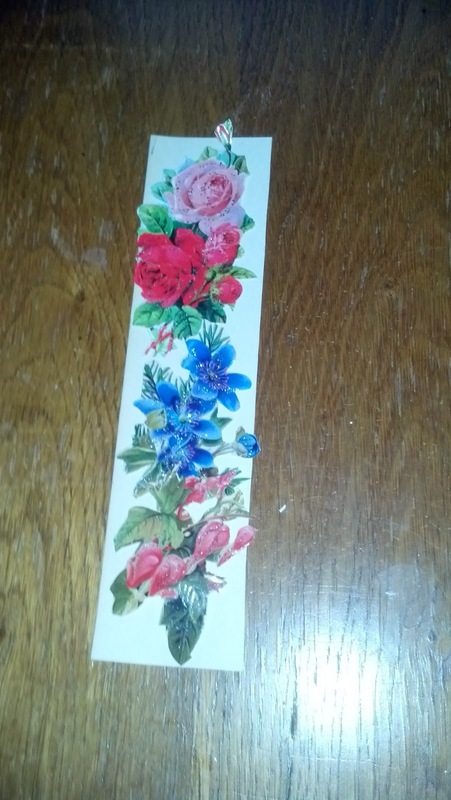 The flower was too stark in pure white, so I used some watercolor paint in a pale pink to add definition. I wanted to make the Suminagashi look like a window, surrounded by snowy, blowing winds. 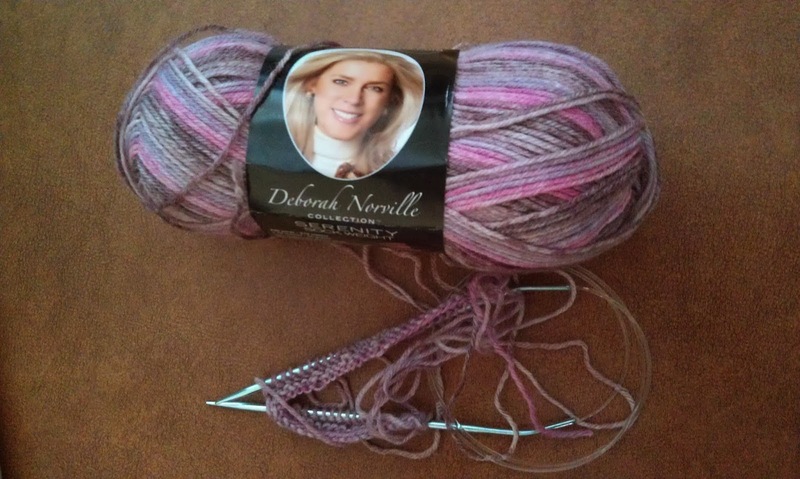 She was already working on the next prayer shawl, and also has a beret in the works. I will only be able to post her work once a week. 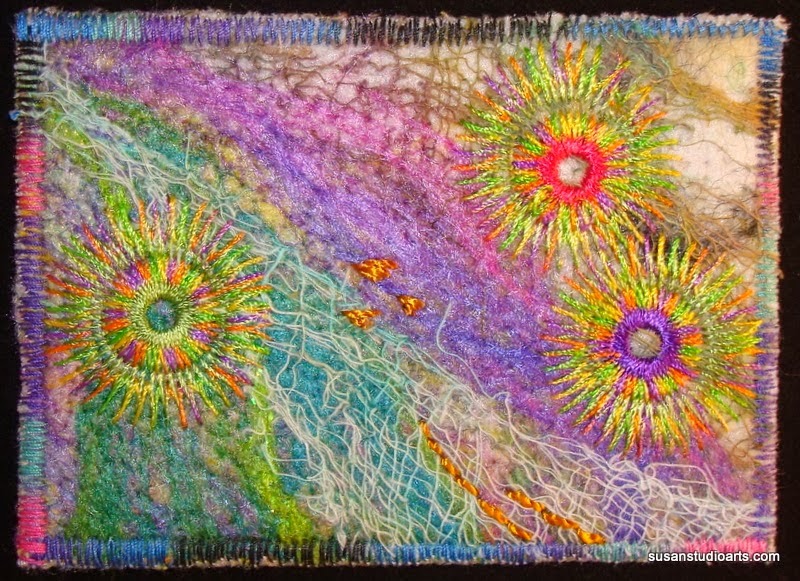 Connie K. (http://cwkalina.blogspot.com/2014/01/day-8-art-every-day-knitting.html) sent in two photographs. One, a photo of some inspirational tire tracks, she took during a walk . She says she thinks these would make great Zentangle designs and I agree. They are great! 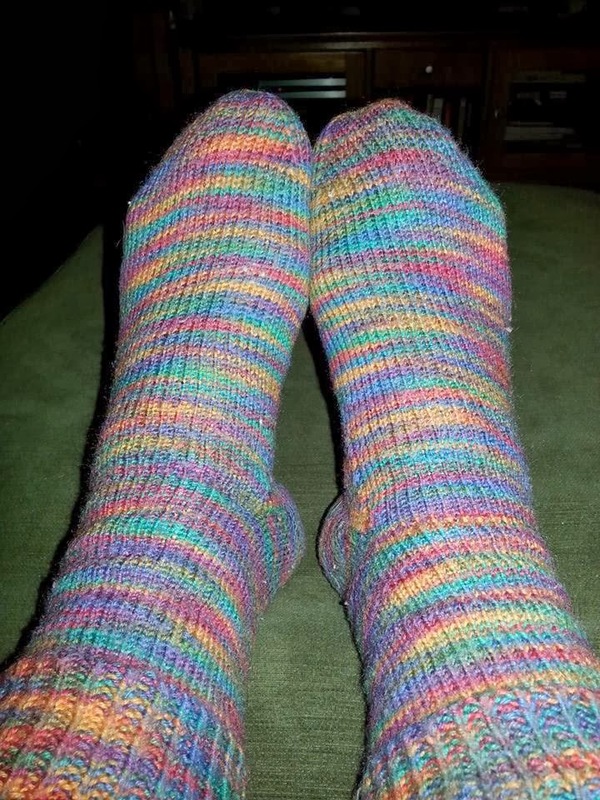 Connie is also learning to knit socks and spent several hours watching classes she found at Craftsy. She has also decided to learn the Continental method of knitting at the same time. Stay tuned for some of her new talents. 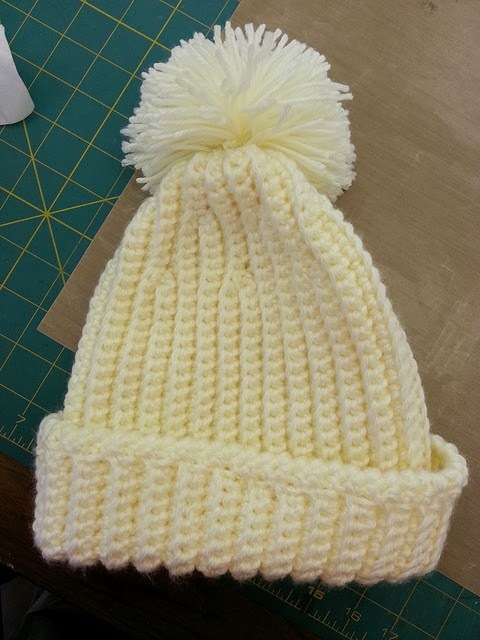 Lisa D. has been a few days between postings, but she has really been busy! 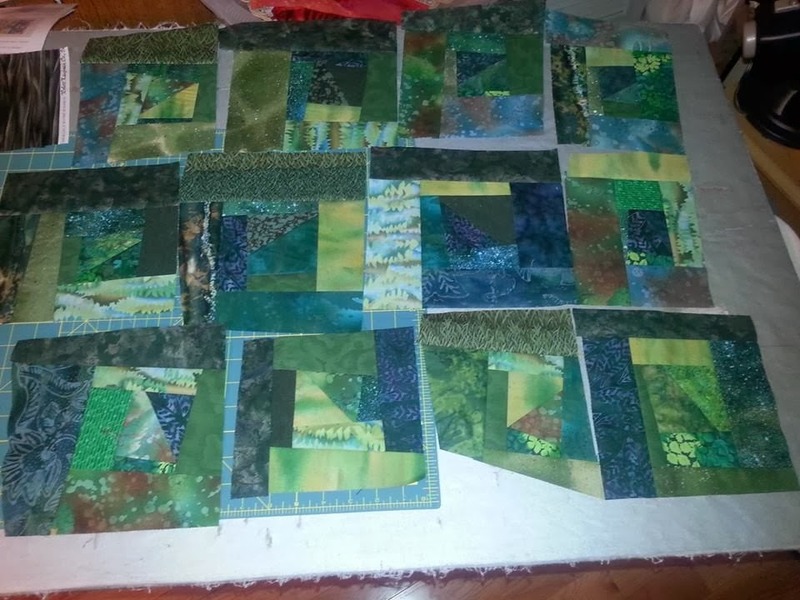 Look at these quilt blocks! 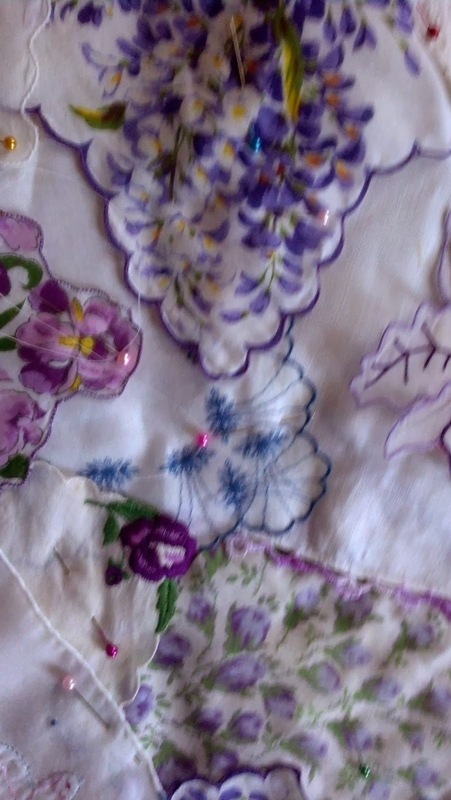 She plans to do some silk screening, stenciling, and other techniques on the quilt. 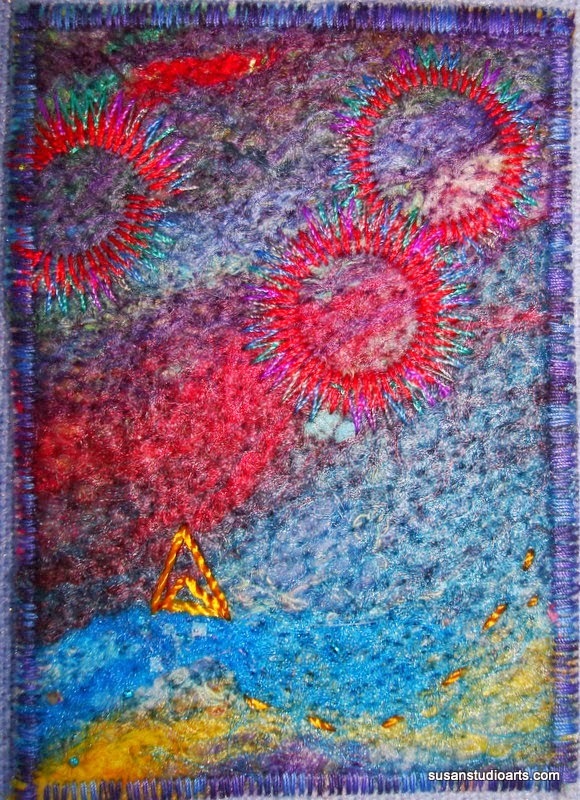 Susan (http://susanstudioarts.blogspot.com/2014/01/through-stargate.html) has completed another beautiful ATC. 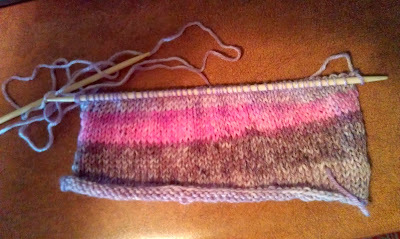 I started to work on the Entrelac scarf. 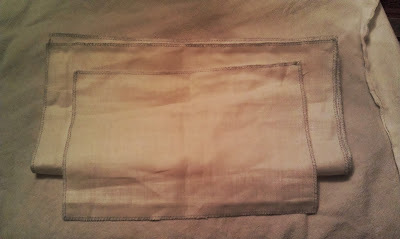 I did fine on the first base triangle, but then twisted the second one somehow. When I ripped that out, I went too far, and ended up starting all over again. The second try got me to the third base triangle, then the same thing. I have now done those three base triangles three times and set the scarf aside. 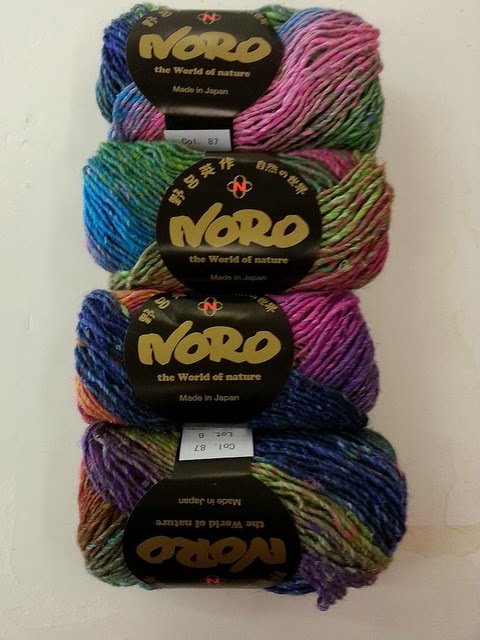 I think I have to pause for a bit, find some scrap yarn, and learn to knit backwards. The problems I am having all have a base in the incessant turning of the work. The instructions read like this: K1, turn; P2, turn; SL1, K1, turn; P3, turn; SL1, K2, turn; P4, turn. Every time I turn (which is every few seconds) is an opportunity to tangle things up. 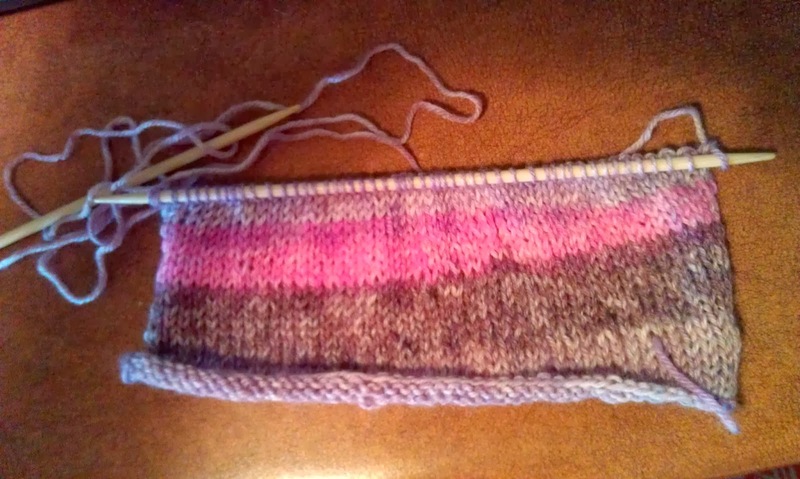 So, I am not yet posting progress on the Entrelac scarf. I made better progress on my Journal52 pages. I created a few backgrounds and did some Suminagashi pages, and submitted this Mardi Gras page for Jan 9th. Here is my Journal52 submission for today. 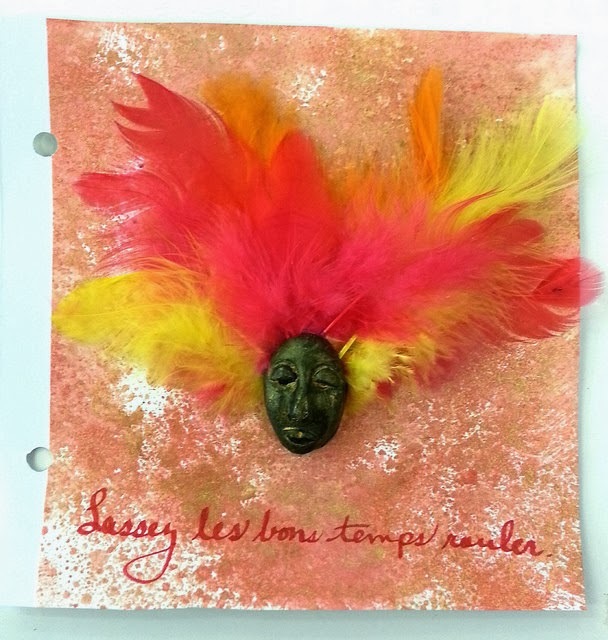 I was in a Mardi Gras sort of mood, so I leaped ahead of the calendar for my Journal52 submission for today. I know, Mardi Gras is not until March 4, but I can't wait for spring this year! 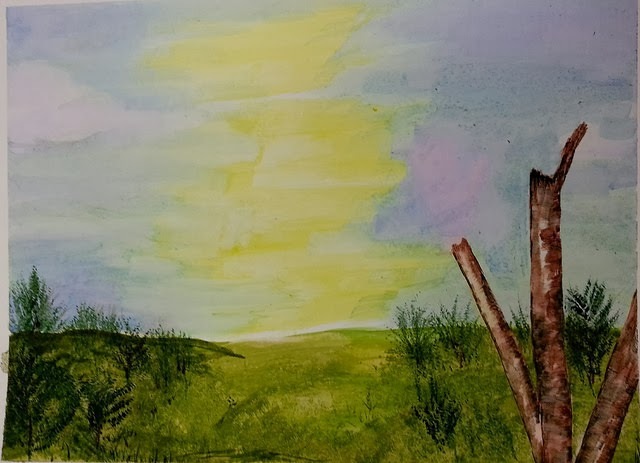 The background is watercolor on cardstock. I then added dyed chicken feathers and a little Fimo clay mask. The mask is from a mold (I can't remember the maker) and has Inca gold highlights. Let the good times roll! 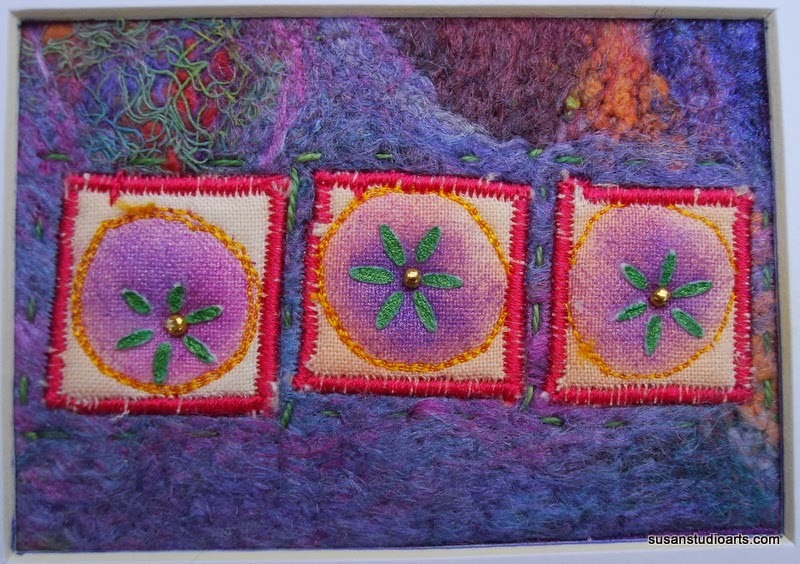 Susan (http://susanstudioarts.blogspot.com/2014/01/day-4-of-make-art-every-day-challenge.html) created another stunning ATC. I worked on my Journal52 pages ( I had to do two of them to catch up) and spent far too much time cleaning up my studio. My Journal52 page for Jan 7th: the prompt was for something to go "Up, Up, and Away" but this was my "make" on it... I saw this wonderful car ad in an old National Geographic and just had to use it. 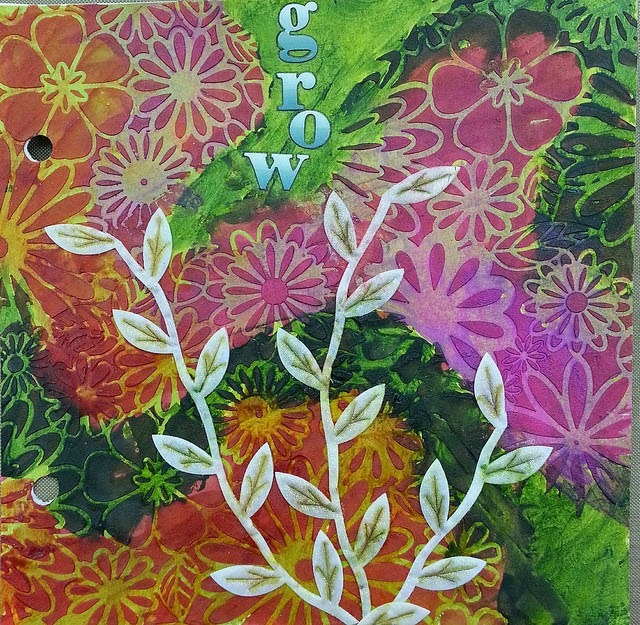 I treated it with Citra-Solve, let it dry and added a few printed words. Simple and I love it. Since I was behind, I had to do a second journal page as well. This one is for January 8th. 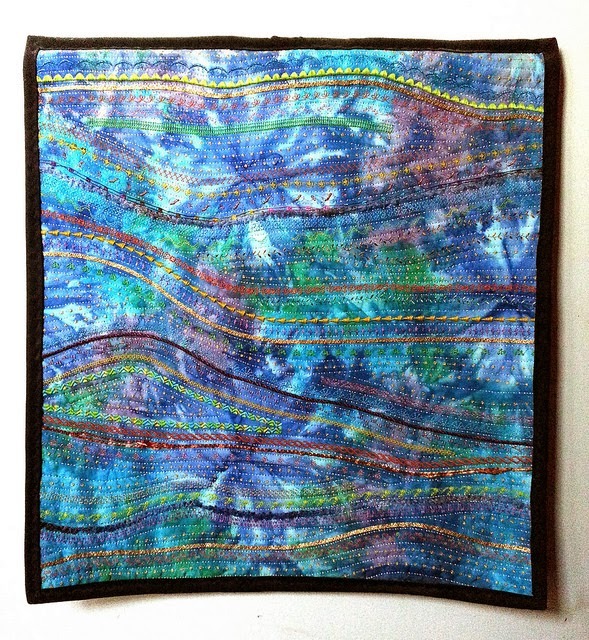 The background is a paper towel which I used as a mop-up rag and when I unfolded it, loved the distribution of colors so I kept it. 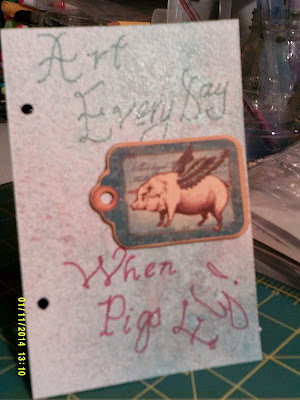 I used Scor tape to mount it to a piece of cardstock, then added some torn pieces of Tim Holtz's tissue wrap. 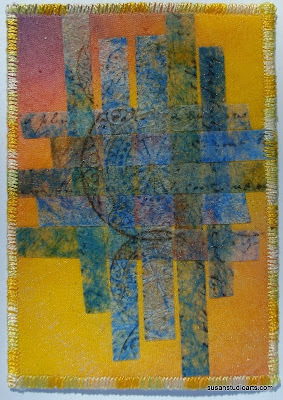 I used Golden Soft Gel medium as a glue, then gave the entire piece a coat of the gel for strength. 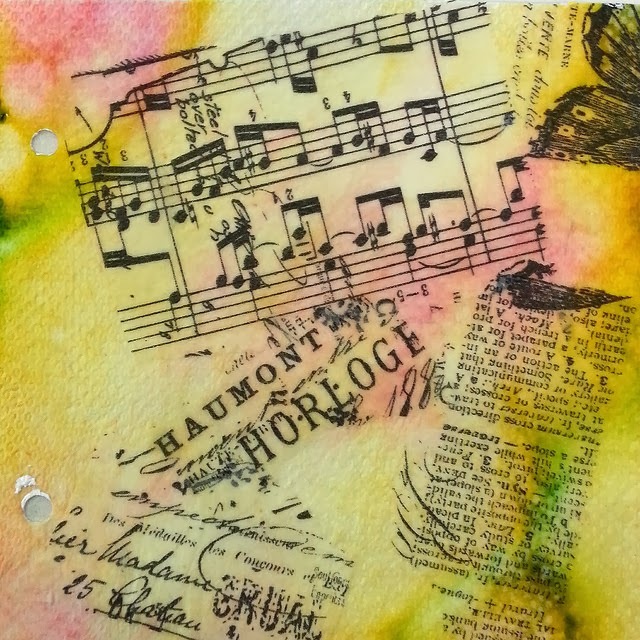 I wanted to use something at least semi-transparent so that the decorative elements would not obscure the colors on the paper towel. I have never done an Entrelac piece before, and it takes a bit of adjustment to figure out what I need to do. I did the first base triangle just fine, but bungled the count on the second one, ripped it out, went too far, and ended up with such a mess that I ripped out the entire thing and started all over again. The second time went more smoothly, but the constant turn, turn, turn takes a lot of time. 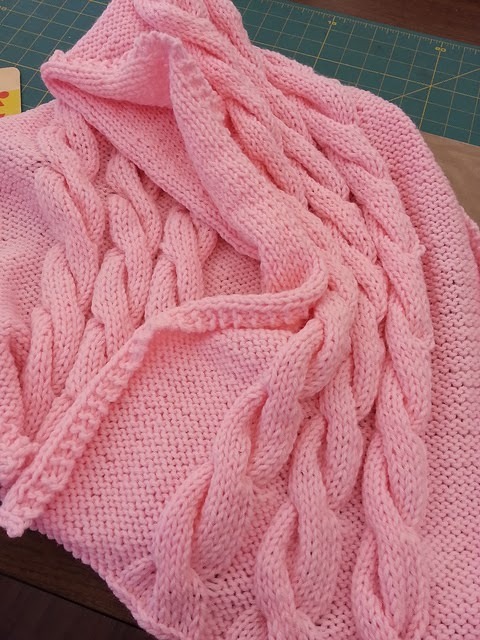 A friend advised me to learn how to knit backwards. 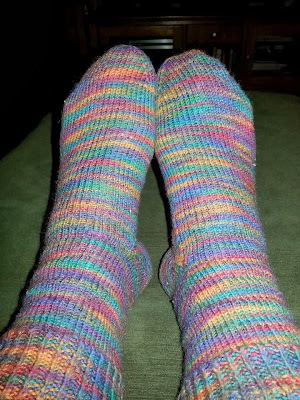 I may set the Entrelac piece aside, grab some scrap yarn, and do just that! 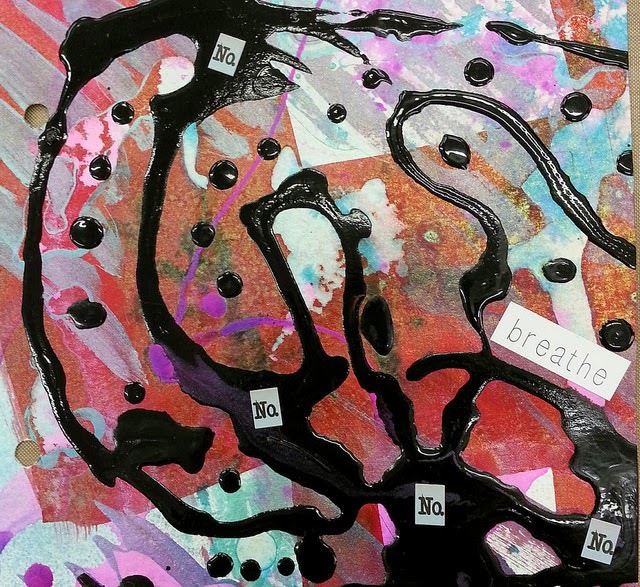 This is my Journal52 page for today, January 8th. 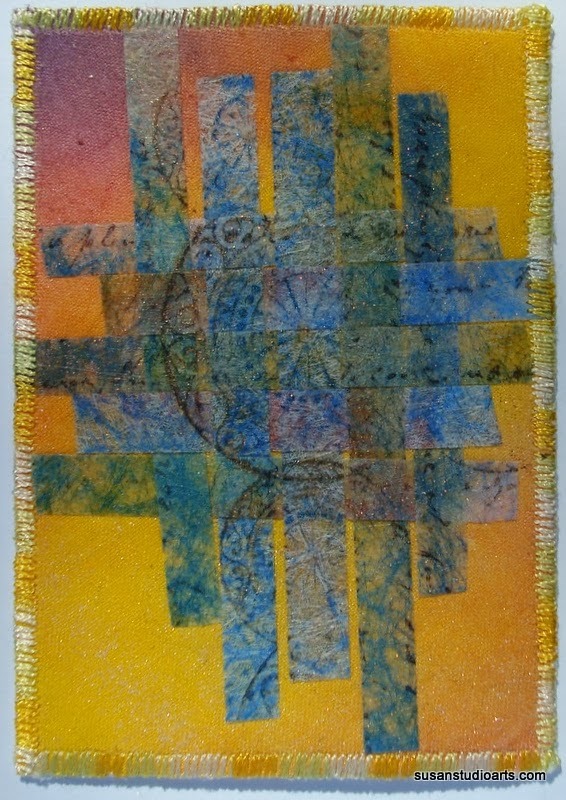 The background is a paper towel which I used as a mop-up rag and when I unfolded it, loved the distribution of colors so I kept it. 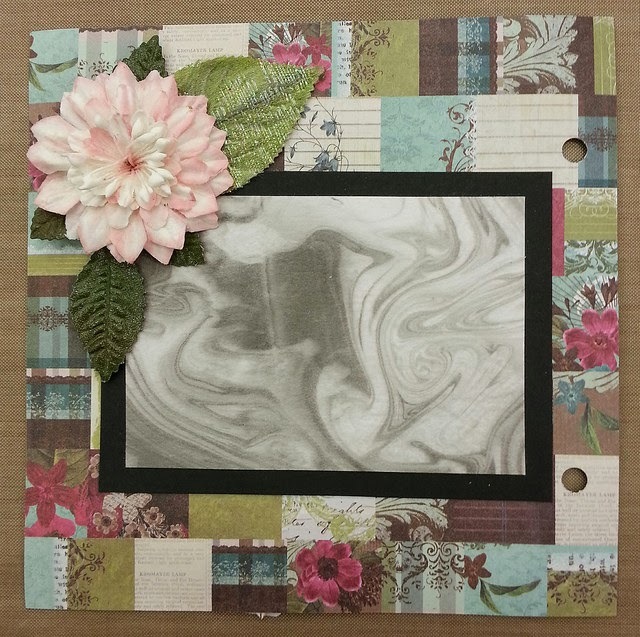 I used Scor tape to mount it to a piece of cardstock, then added some torn pieces of Tim Holtz's tissue wrap. I used Golden Soft Gel medium as a glue, then gave the entire piece a coat of the gel for strength. I wanted to use something at least semi-transparent so that the decorative elements would not obscure the colors on the paper towel. 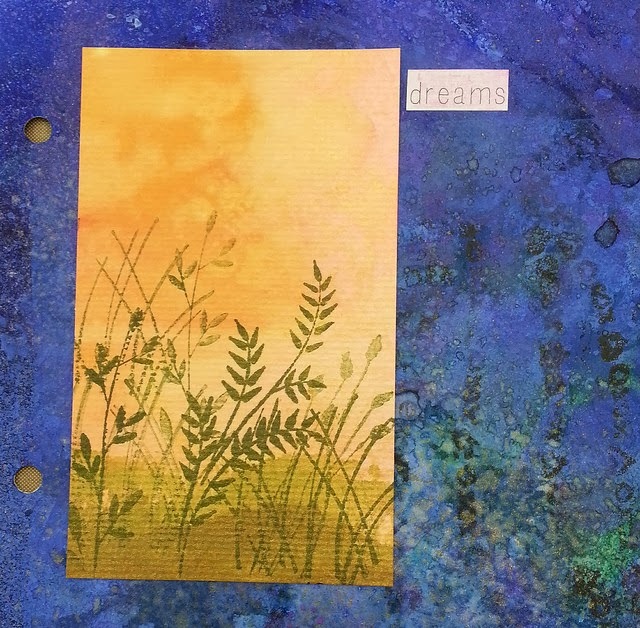 The Journal52 challenge has weekly "prompts" which suggest a theme for one of the journal pages. This week, the first prompt was "Up, Up, and Away." This was my "make" on it... 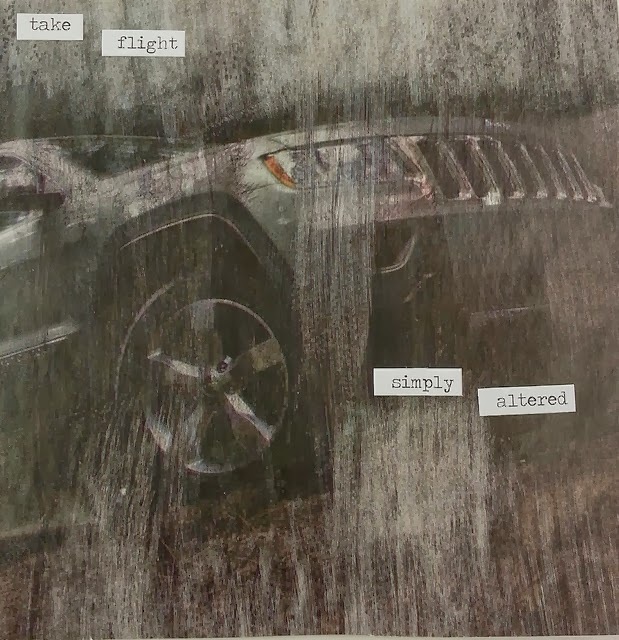 I saw this wonderful car ad in an old National Geographic and just had to use it. I treated it with Citra Solv, let it dry and added a few printed words. Simple and I love it. Day 7 of the challenge. This first week has seen some spectacular work. 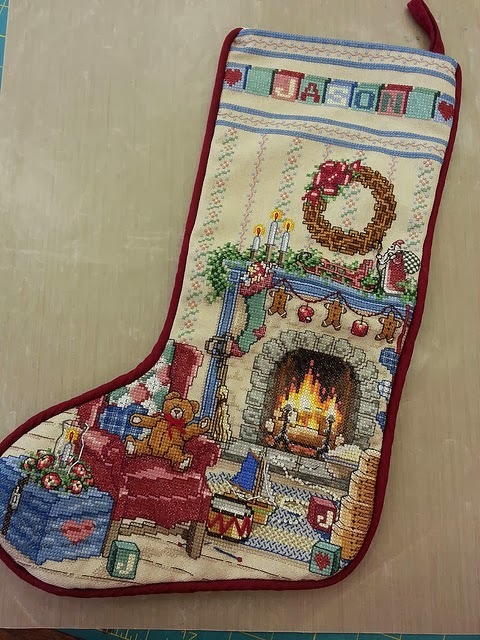 Susan is working with a new daisy foot and double needle work, and sampling new threads. And me? Today, I was swamped with Medicare paperwork for my Mother. Not much fun time at all, so I chose to submit an older work that I had never put on the blog. I made it just about a year ago.